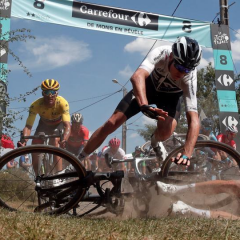 This year’s Tour de France has had its ups and downs as all of the Grand Tours do. The measure of a great tour from a viewing perspective is to have it be decided in the final stages, while along the way having the top prize contested and in that this year’s tour was extremely compelling, plus there were some very unexpected storylines. 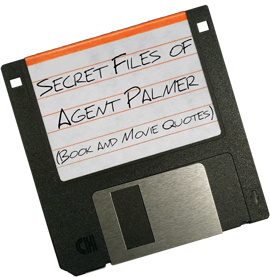 It was also one of the more damaging tours in recent memory. The early sprint stages yielded to daily crashes that tore through the peloton which made for edge of your seat nervous watching, and for the peloton I’m sure it was nervous riding as well. The 2017 Tour de France was one of the more compelling in recent memory. 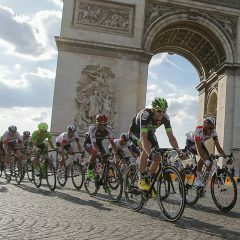 Old names and new names mingled up and down mountains and across the plains of France, having started off this year in a rainy Dusseldorf before trekking the 3562 kilometres to the finish line in Paris on the Champs-Élysées. So for your perusal, here are my Top Ten Moments of the 2017 Tour de France. 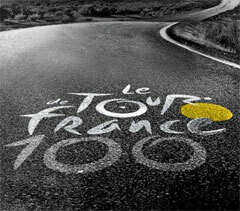 The 2014 Tour de France ran from July 5th to July 27th. This 101st edition of the Tour was made up of 21 stages and covered 3,664 km, containing nine flat stages, five hill stages, six mountain stages with five mountaintop finishes, one time trial and two rest days. The Tour started in England lost a few big names along the way to Paris. In their absence the race was still competitive, for the Sprinter’s Green and King of the Mountain’s Polka Dot Jerseys. 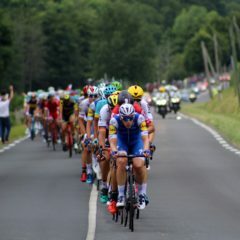 The Yellow Jersey and General Classification was decided early quite early on, with Vincenzo Nibali’s performance in Stage 2 and the withdrawal of both Christopher Froome and Alberto Contador. 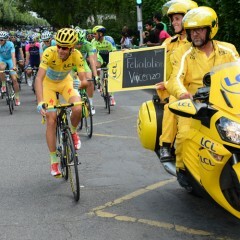 The 100th running of the Tour de France concluded today in the twilight on the Champs-Élysées in Paris. I can’t really vouch for any of the riders, but this has been the cleanest Tour to date (last year I listed my Top 5 Non-Doping Moments), with the exception that the French press is always looking for doping in any foreign rider who’s winning. There were quite a few highlights, many more than 10, none-the-less here are my Top 10 moments from the 2013 Tour de France, in no particular order. I am an avid cycling spectator. I enjoy all that the sport offers both on the road and on the track. This is a look inside why I enjoy the sport so much. From Grand Tours, like the Tour de France to the Velodrome, it doesn’t matter where they are racing, just as long as there are two wheels and they are trying to go as fast as they can!